Willie Nelson was charged with marijuana possession in Texas yesterday (November 26) during a stop by Border Patrol agents in Sierra Blanca, Texas. An officer had searched the vehicle after smelling the substance and Border Agents found the marijuana on the bus, with Nelson taking responsibility for it. The country singing outlaw was taken to Hudspeth County Jail where he was booked on a misdemeanor and released on $2,500 bail. Editors have announced that they are releasing a career-spanning box set, approprietly called 'Editors: The Complete Collection.' It is due out in February 2011 and will include B-sides, rarities and previously unreleased material. 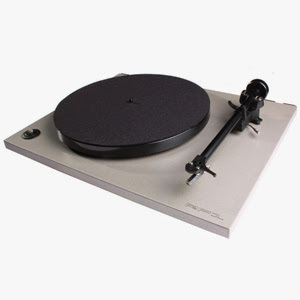 The set includes seven 12-inch vinyl records, seven CDs, a download card for all of the audio and an accompanying book. Pre-orders will begin on December 2, with the first 200 box sets sold also set to receive a special personalized surprise from frontman Tom Smith. For more information, visit EditorsOfficial.com. 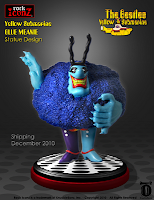 It was announced that a new group of figurines is being released in KnuckleBonz' Rock Iconz limited edition series depicting characters from the 1968 Beatles' film 'Yellow Submarine.' They are licensed and approved by Apple Corps, Ltd and Live Nation Merchandise, Inc and the figures are at 1/9 scale, standing about nine-inches high, are hand-painted, individually numbered and come with a certificate of authenticity. Shipping will begin on November 29 and the first figure is the film's villain, the 'Blue Meanie.' This figure is limited to 1,968 pieces in salute to the year that the movie was released. 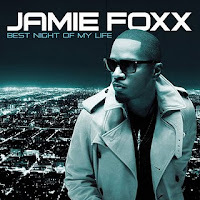 Jamie Foxx is ready to debut his 4th studio album, 'Best Night Of My Life' on December 21st. The album will include the hit single "Fall For My Type" featuring Drake, along with "Living Better Now" featuring Rick Ross, and "Winner" featuring T.I. & Justin Timberlake. Country specialists Burns & Poe are offering fans a special treat just in time for the holidays. The duo has pressed a limited number of vinyl records of their new self-titled debut album and are offering it exclusively through their website. When placing your order, you will also receive a copy of the album on CD, which will be autographed by the duo -- Keith Burns and Michelle Poe, as well as a digital download of their new Christmas song, 'Hear the Angels Singing.' The first 100 pre-orders made online will also receive 'Hear the Angels Singing' on CD. "Our fans have been waiting for our music for a long time," Keith tells The Boot. "So we wanted to put it out and have it be something extra special. The LP is going to be a collector's item and something cool for them to have." Swedish black metallers MARDUK are celebrating their 20th anniversary by releasing a strictly limited-edition box set in early 2011. According to the band, "This fabulous release will be a monument of the first two decades of MARDUK." The vinyl edition of 'Wormwood,' the latest album from MARDUK, was released this past spring. The effort was available as a regular black vinyl with a gatefold sleeve (700 copies), picture disc (333 copies) and also as a gatefold deluxe edition with a 32-page booklet with lyrics on red vinyl (500 copies). Also newly released are the remastered versions on vinyl of MARDUK's "Germania", "Nightwing" and "Panzer Division Marduk" (available on regular vinyl and picture disc). 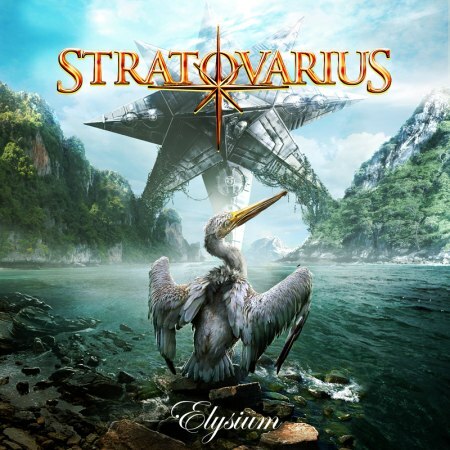 Finnish melodic metallers STRATOVARIUS are set to release their thirteenth full-length studio album, 'Elysium' on January 14, 2011. A single with two new songs has been released on November 26 to coincide with the start of the "7 Sinners World Tour." 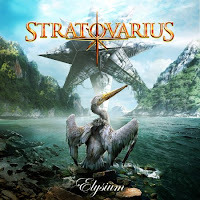 STRATOVARIUS will join HELLOWEEN, as very special guests, kicking off the same day at the Szene in Vienna, Austria. The cover artwork was created by Gyula Havancsák. Limp Bizkit's new album is scheduled to feature a guest collaboration with Wu Tang Clan rapper Raekwon. Singer Fred Durst previewed a number of songs from the album during an impromptu live web chat with fans on November 24. Limp Bizkit's new album, 'Gold Cobra,' includes an introduction which was written by Durst and Kiss frontman Gene Simmons. As part of their 10th birthday celebrations, pop rockers the Futureheads have decided to dip their toes in the dangerous waters with a new Christmas release. The new single "Christmas Was Better In The 80s" will be released on 19th December 2010 through their own Null Records. To celebrate their 10th birthday The Futureheads also collaborated with iconic artists including David Shrigley and Stuart Semple to create a series of limited edition prints, raising money for Newcastle based charities with all of the artists generously giving their time for free. For the FH10 project the band sent each one of the artists an album, and asked them to respond to its music as if creating the album cover for the first ever time. Third Man Records is scheduled to release two new singles on November 29th, with the first being the next episode in the labels Blue Series of 7" vinyl releases, featuring The Thornbills. Michigan cousins Jim Wigand III and Tamara Finlay (The Thornbills) have chosen two Jack White produced songs, "Uncle Andrei" is a mysterious ode, reminiscent of a Russian waltz while "Square Peg" is a driving and charming tune layered with the strum of the guitar and wail of the violin. Third Man and Nonsuch Records also are proud to produce the latest single from the Queen of Rock and First Lady of Rockabilly, Wanda Jackson, who brings the latest taste of her signature style to the label. On the tracks "Thunder on the Mountain" and "Dust on the Bible," Jackson is joined by new friend, producer and Third Man Records founder Jack White, along with help from Jack Lawrence (The Dead Weather/Raconteurs), Carl Broemel (My Morning Jacket), Patrick Keeler (Raconteurs), Ashley Monroe, Jackson Smith and Karen Elson, to name a few. Next year, Primal Scream’s LP 'Screamadelica' will have been around for 20 years and the band will be issiung a huge box set next March to commemorate the anniversary. The set will include four CDs, one DVD, and two vinyl records. The rest of the set called 'Screamadelica: Collector’s Edition,' will consist of a new live album called 'Live in L.A., 1991,' a remastered edition of the band’s 1992 four-track EP 'Dixie-Narco,' and a remix CD featuring cuts by Andrew Weatherall and The Orb, among others. 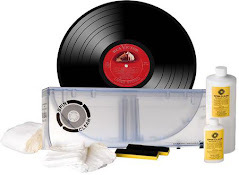 Also included is a double-vinyl version of Screamadelica, a DVD of the 30-minute documentary 'The Making of Screamadelica,' bonus footage from the original “Screamadelica” VHS release, and more. Just to make 500 people feel even more super exclusive, the band will put out a limited “white” edition of the set. Just to make 20% of those super exclusive people feel super extra exclusive, Primal Scream will sign 100 copies of the “white” sets. Born on this day in 1935, Al Jackson, drummer, Booker T and the MG's. Shot dead by burglars at his home October 1, 1975. 42 year old Allan Ramsay, the original bassist for Gary Lewis and The Playboys, was killed in a light plane crash in 1985. Born today in 1941, Eddie Rabbitt, singer, songwriter. Elvis, Dr Hook and Tom Jones all recorded his songs. He died of cancer on May 7, 1998. Born on this day in 1942, Jimi Hendrix, guitarist, singer. He is widely considered the greatest electric guitarist in the history of rock music, and one of the most influential musicians of his era across a range of genres. Hendrix died on September 18, 1970. Tony Meehan drummer with The Shadows died in 2005 from head injuries sustained in a fall at his London flat in Maida Vale (age 62). Joe Jones, a musician-turned producer who sang the 1961 Billboard #3 hit "You Talk Too Much" and went on to become an independent music publisher and advocate for Black artists' rights, died on November 27, 2005. He was 79. Elvis Presley was promoted to Private First Class in the US Army in 1958. His rank would rise to Specialist Fourth Class on June 1, 1959 and to Sergeant on January 20, 1960. Elvis' movie Fun in Acapulco, co-starring Ursula Andress, was released in the US in 1963. While some exterior scenes were filmed on location, Elvis' scenes were all shot in Hollywood. The King never set foot in Acapulco, Mexico in his life. In 1965, the Lovin' Spoonful's "You Didn't Have To Be So Nice" and The Vogues' "5 O'clock World" entered the US record charts. The New Vaudeville Band were at #1 on the US singles chart in 1966 with "Winchester Cathedral." Also in 1967, the Association were presented with a Gold record for their hit, "Never My Love", which had risen to #2 in the US. Steppenwolf's first album, which includes their biggest hits, "Born to Be Wild" and "Magic Carpet Ride" was certified Gold in 1968. Also in 1970, Black Sabbath, Cactus and Steel Mill, (featuring Bruce Springsteen) all appeared at the Sunshine In, Asbury Park in New Jersey. All three acts played two shows, tickets cost $5.00. Brian Wilson appeared on NBC-TV's Saturday Night Live in 1976. Queen's "Somebody To Love" was released in 1976. In 1981, the British Phonographic industry placed advertisements in the press claiming that 'home taping was wiping out music'. The Boomtown Rats, 10cc, Elton John and Cliff Richard all backed the campaign. Two extremes of the California music scene, the Grateful Dead and the Beach Boys played the Jamaica World Music Festival in Montego Bay in 1982. Lionel Richie was #1 in the US in 1982 with "Truly." Richie achieved a #1 hit each year from 78-86 as a writer, "Three Times A Lady," "Still," "Lady "(Kenny Rodgers), "Endless Love," (Diana Ross), "All Night Long," "Hello," "Say 'You Say Me" and as co-writer of "We Are The World." Bon Jovi were at #1 on the US singles chart in 1986 with "You Give Love A Bad Name." Nirvana’s “Nevermind” LP went platinum in 1991. In 1992, Neil Diamond's Christmas Special debuts on HBO. The one-hour show featured Diamond performing many of the favorites heard on "The Christmas Album" while joined by such diverse vocal ensembles as a doo-wop group, a children's choir and a mixed chorale. The LP became a Top 10 Platinum best-seller. In 1994, Rod Stewart and the Faces appeared at The Odeon, Lewisham, London, England. Paul and Linda McCartney both joined the band on stage for a few numbers. A disturbed rock fan brought the 1997 funeral of Michael Hutchence to a standstill when he tried to launch himself from a 20 ft high balcony with a cord around his neck. He was removed by police and taken away to a psychiatric unit. Ya think? Elvis Presley was inducted into The Gospel Association Hall Of Fame in 2001, an organization dedicated exclusively to recognizing meaningful contributions by individuals in all forms of Gospel music. Other notable inductees are Pat Boone, Tennessee Ernie Ford and Al Green. Figures released by the Rolling Stones showed that the band had grossed 175m from their 2002 '40 Licks World Tour.' The report also showed they had made over $1billion from 1989-2002 from royalties, album sales and tour revenue. In 2005, multimillionaire defence contractor David H. Brooks booked New York’s Rainbow Rooms and his daughter Elizabeth’s favourite acts for her ‘bat mitzvah’ coming-of-age celebration. The stars who appeared included 50 Cent, Tom Petty, Aerosmith, Don Henley, Joe Walsh and Stevie Nicks. 50 Cent who was paid $500,000 to appear performed only four songs but he did manage to work in the lyric, "Go shorty, it's your bat miztvah, we gonna party like it's your bat mitzvah". The party cost an estimated $10 million, including the price of corporate jets to ferry the performers to and from the venue. The Rolling Stones' 'A Bigger Bang' world tour is #1 all-time, according to the 2006 Billboard magazine Boxscore monitor. The jaunt grossed $437 million putting ahead of U2's Vertigo tour, which earned approximately $377 million. In 2007, David Bowie's "Outside"('95), "Earthling" ('97), "Hours" ('99), "Heathen" ('02) and "Reality" ('03) albums are released as a box set. There's also a bonus disc of rarities (like a cover of the Kinks "Waterloo Sunset"), B-sides and remixes. Linkin Park was selling their rarities collection "Songs From The Underground" exclusively through Best Buy outlets in 2008. The limited-edition CD, previously available only to members of the LP Underground fan club, includes a live version of frontman Chester Bennington singing the Temple Of The Dog classic "Hunger Strike" with Chris Cornell.